Undoubtedly, Samantha is one of the most happening actresses in the film industry and apart from her films, she has been in the news owing to her love story with Naga Chaitanya. The Ye Maya Chesave actress recently got engaged to her love Chaitu in Hyderabad at a private affair. Now, the actress is in the news again for following the footsteps of her future mother in law Amala Akkineni, even before the marriage. It is a well known fact that even after marrying Nagarjuna, Amala has canned a few films. But later Amala busied herself with the NGO, Blue Cross society, and rejected many offers. After a long gap, she made her grand comeback with Life is beautiful in Tollywood. Amala has been serving society in various ways and now Samantha follows footsteps of her mother-in-law. The actress revealed that along with Pratyusha Organization, is going to raise funds to help the differently abled children and announced the auction of items which have been used by the top stars for their iconic films. Aimed at helping disabled kids mentally, physically and financially for medical helps in the areas of Nutrition, skin problems, Dental issues and Growth related issues, a doctor Anagani Manjula and Samantha initiated Pratyusha Support and spread the wings wider. In Tollywood, Samantha is the one actress who could replace Amala in terms of social work. Like the yesteryear heroine, Samantha is always ready to help the underprivileged with similar activities under the Pratyusha foundation. There was buzz that Samantha has plans to quit films once she gets married to the love of her life Chaitanya. But putting aside such speculations, the actress signed two Tamil projects and is also going to team up with Ram Charan for his next. 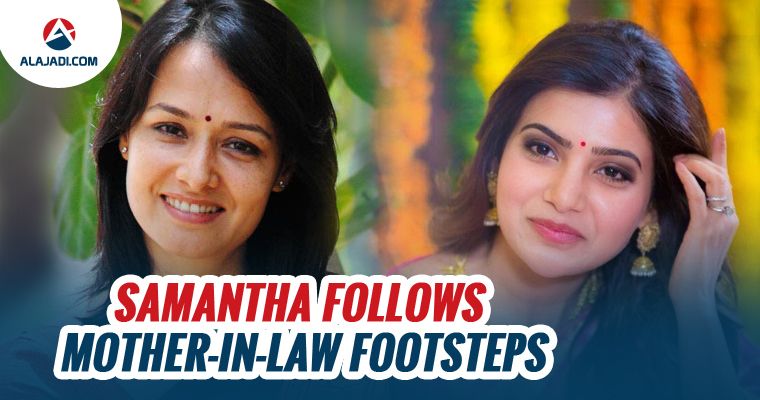 Now, it is clear that Samantha is planning to take a leaf out of Amala’s life acting in films and following her own path.